It was the Golden Era of soccer in the United States, and there was no question about the top team, the Fall River Marksmen. The 1923-24 Marksmen team was a dominant force in the American Soccer League during a time when southeastern New England was known as the “Golden Crescent” of American soccer, encompassing Pawtucket, Fall River, and New Bedford. Harold Brittan, who netted 15 goals from the striker position, and Bill McPherson, who had an incredible 366 appearances for the Marksmen during his career, led the team in scoring. 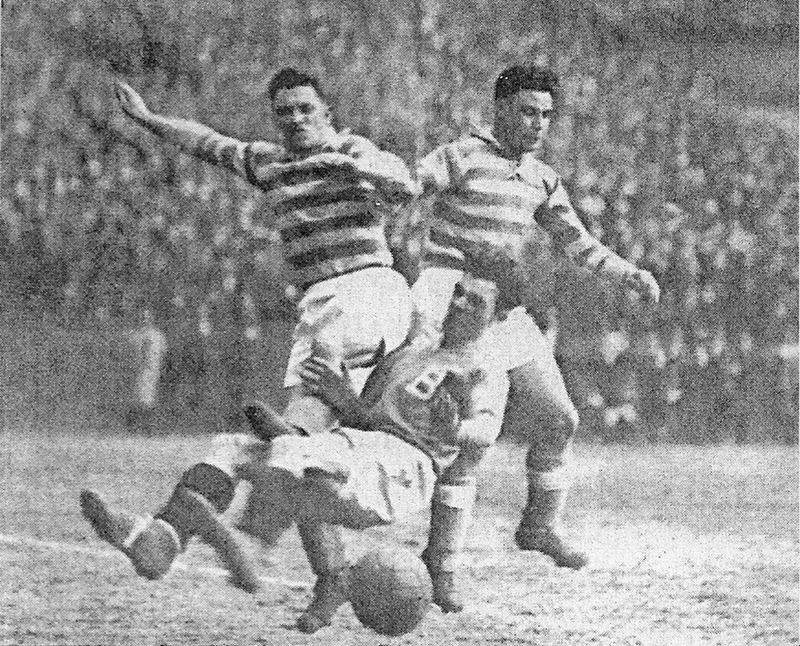 With Ned Tate from South Shields, England, at fullback, and Findlay “Lindy” Kerr from Scotland as goalkeeper, the Marksmen defense habitually held opponents scoreless, generating an astonishing fourteen clean sheets that season. The Marksmen completed the historic 1923-24 season with the first “double,” winning the American Soccer League and capturing the National Challenge Cup by defeating the Vesper Buick team in St. Louis. The majority of the Marksmen’s games that season took place at their home field in Tiverton, Mark’s Stadium, named for the team’s owner Sam Mark. In 1922, Sam Mark (born Sam Markelevitch, in Fall River) bought the Fall River United of the American Soccer League and renamed them the Marksmen. Fall River already had a long history of championship soccer teams. In the late 19th century, the Fall River Rovers dominated play, winning the American Cup in 1888 and 1889. Sam Mark built the Marksmen a stadium just over the Fall River border in north Tiverton. In Massachusetts, regulations derived from Puritan strictures, known as Blue Laws, restricted a number of activities on Sundays including the playing of sports and the purchase of liquor. 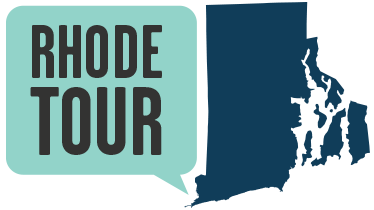 By building his field in Rhode Island, where Puritan ideas never held sway, Sam Mark circumvented these laws. The Marksmen eventually won the American Soccer League title seven times, including four consecutively, and the National Challenge Cup an incredible four times. In 1930, the Marksmen became the first American team to complete a domestic treble, meaning they were champions of America’s top-tier league, and won the National Challenge Cup and the Lewis Cup. The following year, in a blunder reminiscent of the sale of Babe Ruth to the Yankees, Sam Mark moved the Marksmen to New York and renamed them the New York Yankees. Unlike Ruth’s Yankees, the team faltered almost immediately and the following year Mark merged the Yankees with the Providence Goldbugs and a team from New Bedford, which became the new home of his team, now called the New Bedford Whalers. But Mark’s Stadium still had some magic left. Fall River’s Ponta Delgada team, playing in Tiverton, won numerous National Amateur Cup titles in the 1940s and 50s. Mark’s stadium was torn down in the late 1950s and replaced by a drive-in movie theater and a restaurant operated by the Ponta Delgada Club. Today, Mark’s Stadium is only a large empty lot, and the Ponta Delgada club is closed. In 2009, the sports website Bleacher Report named Mark’s Stadium the 8th most important soccer site in the United States. The Fall River Marksmen played St. Louis Vesper Buick for the National Challenge Cup in 1924. This might be the earliest surviving footage of a soccer match in the United States. 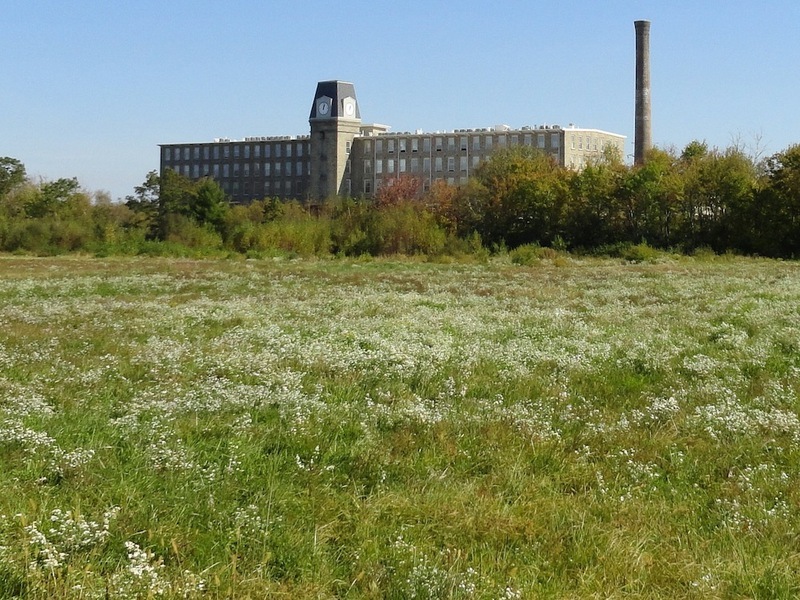 Mark's Stadium, 2011 : Mark's Stadium is now an overgrown field with Bourne Mill looming in the background. 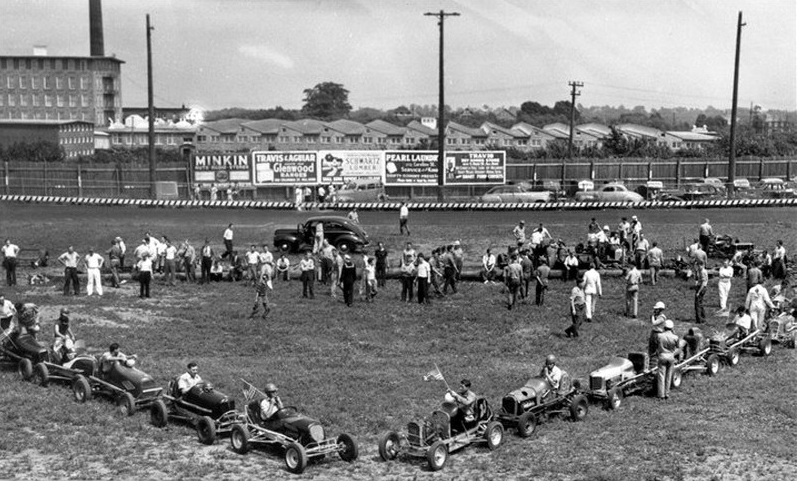 Final Race, 1942 : Beginning in 1939, Mark's Stadium - using the name Ponta Delgada Racing Stadium - hosted "midget" car racing on a 1/5 mile track around the soccer field. Racing was suspended during World War II, returning for two years from 1945 - 1947, and again in 1952 and 1953. In this July 26, 1942, photograph, the drivers gather in formation prior to the final race before the track closed for the duration of the war. Fall River Marksmen vs. Bethlehem Steel, 1930 : The Fall River Marksmen defeated Bethlehem Steel in their final US Open Cup appearance in 1930. The following year, the Marksmen moved to New York, and the team never again enjoyed the same level of success. 70 Shove Street, Tiverton, RI 02878 ~ Walk or park in the rear parking lot of the restaurant on this location. Mark's Stadium was in the open field between the restaurant and Bourne Mill. Daniel Mellynchuk, “Mark's Stadium,” Rhode Tour, accessed April 23, 2019, http://rhodetour.org/items/show/103. Joe. “Fall River, Mass, Heritage Soccer.” Fall River, Mass, Heritage Soccer, 1 Jan. 1970, frhsoccer.blogspot.com/.